Perhaps it’s time to clear up confusion about whether to apply ice, heat or both intermittently to relieve aches, pains and injuries. These minimal risk, self-treatment therapies are noninvasive, inexpensive, effective and readily available. But, sometimes we’re just not really sure about the how, when or why of icing or warming. Whether to use cold or heat therapies often depends on whether the pain is acute, chronic persistent or recurrent. In general, ice the affected area when there is acute pain, injury, swelling or inflammation. For muscle pain, chronic pain and older injuries, apply heat. With certain types of pain, such as arthritic pain, either heat or cold may help. Some studies have shown that heat provides more relief to someone suffering with back or neck pain, as muscles respond well to heat while ice can aggravate muscle spasms. For recent injuries less than 48 hours old, ice packs can help minimize swelling, reduce internal bleeding and reduce tissue trauma. Cold narrows the blood vessels and reduces blood flow to the area, which reduces swelling and inflammation and provides a numbing effect for pain relief. Icing is good for chronic overuse, repetitive strain or tissue fatigue injuries such as tennis elbow, carpal tunnel syndrome, or shin splints. Cold therapy is great for bruises, sprains, strains and swollen, sensitive and inflamed areas. Ice or cold packs may also be used after activity for overuse injuries to help control inflammation. Heat works well for non-inflammatory body pain and is useful for chronic conditions to relieve muscle pain and stiff, painful arthritic joints. Applying heat encourages circulation to the affected area, increasing blood flow and decreasing lactic acid buildup, which can contribute to pain. Heat helps to relax or loosen muscles, joints, tendons and ligaments, alleviating both pain and stiffness. Heat treatment for recurrent pain helps open blood vessels, which transport oxygen and nutrients that promote healing. Warmth can help to increase range of motion and improve flexibility. Warm, not hot, heating pads, microwaveable gel packs or bath soaks all provide good sources of relief for muscle spasms or pain. Acute injury – For sudden, traumatic injuries, ice the affected area as soon as possible for 10 minutes at a time, allowing skin temperature to return to normal between icings. Icing can be repeated several times daily for 2-3 days. Chronic sports injuries – To prevent further injury, apply moist heat to loosen injured muscles and joints before activity or stretching. 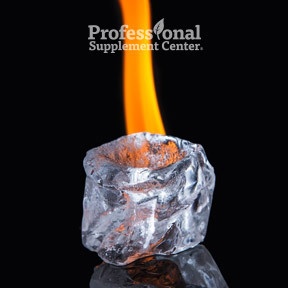 To minimize pain and reduce inflammation, ice affected areas immediately after exercising. Arthritis – Icing newly inflamed joints helps to control pain and minimize inflammation. Moist heat can ease joint stiffness or relax tight muscles around the joints. Some prefer to use heat in the morning to relieve stiffness and then ice in the evening to reduce inflammation related to the day’s activities. Gout – Use ice as soon as possible to calm acute gout flare-ups, reduce swelling and numb pain if the pressure is not unbearable. Elevate the affected area and take medication as recommended by your healthcare provider. Tendonitis – For acute irritation, use ice to relieve inflammation, reduce initial swelling and numb pain. After 48 hours or for chronic irritation, use heat after inflammation resolves to relieve stiffness. Headaches – Cold packs can help relieve a migraine headache. Heat applied to tight muscles in the neck or jaw may help relieve tension headaches. Some prefer to alternate ice and heat in 5 minute increments beginning with cold to ease headache pain. Back pain – Lower back pain is often the result of strains or over-exertions, which creates tension in the muscles and soft tissues. To relieve pain from muscle spasms and tightness, apply dry or moist heat. Sports Pack by Thera°Pearl – This convenient, doctor-designed sports pack conforms to your body and provides therapeutic heat or cold treatments. Pop in freezer for analgesic cold or warm in microwave for penetrating heat. This durable, non-toxic, hypoallergenic, reusable pack holds its temperature for a full 20 minutes to provide fast, soothing relief for sore muscles, pre- or post-workout therapy, menstrual cramps, joint pain and stiffness and accidental injuries. Available with or without strap. Dimensions: 7.5” by 4.5”. This entry was posted in Home and tagged Acute injury, Arthritis, Back pain, Chronic sports injuries, Gout, Headaches, Ice vs. Heat, Professional Supplement Center, Tendonitis, Vitamins and supplements, When to use heat or thermotherapy, When to use ice or cryotherapy, www.professionalsupplementcenter.com. Bookmark the permalink.